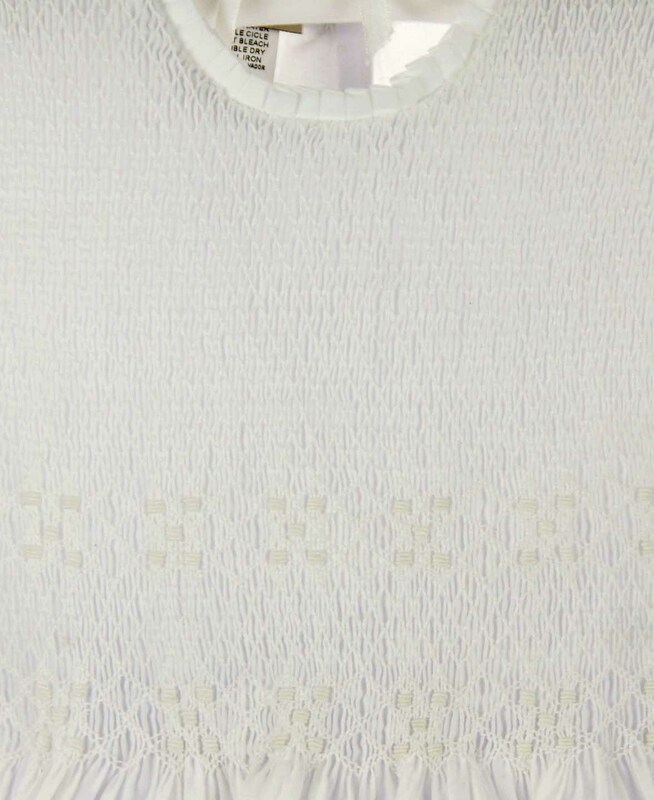 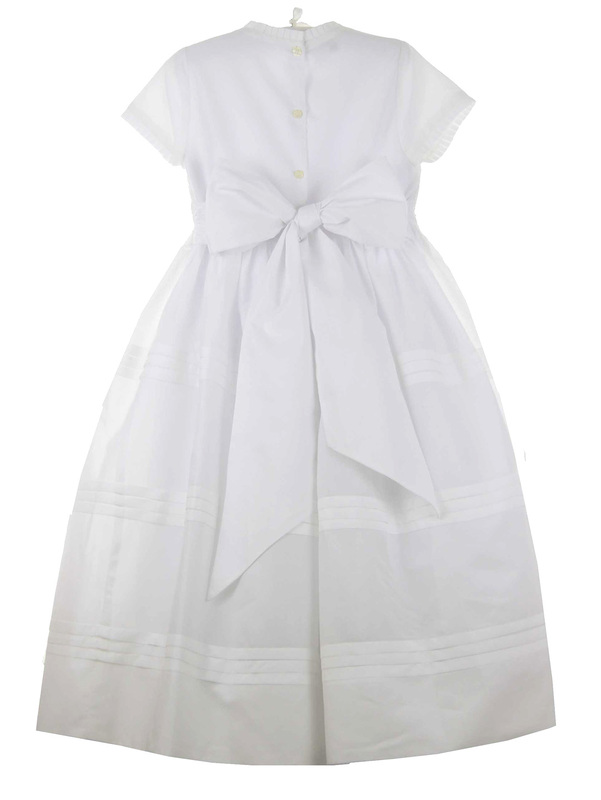 This exquisite white cotton batiste dress was made by Marco & Lizzy. The dress has a fully smocked bodice accented with white embroidery with a fitted waist. 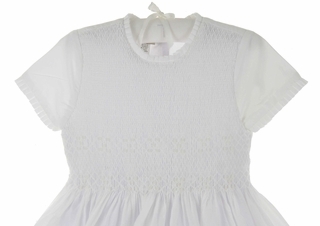 The cap sleeves and round neckline are finished with tiny pleated trim. 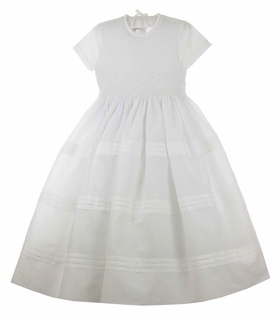 The very full skirt is adorned with three triple rows of pintucks finished with a deep 4" hem. The dress closes in the back with four buttons and has a wide sash to tie in a bow.This stunning dress is fully lined so no slip is needed and even has an attached crinoline for added fullness.